Taught in a beautiful rural setting in Southern NH by Prabhu Nam Kaur the first weekend - May 18-20, 2018 and Mahan Rishi Singh the second weekend - June 1-3, 2018, this course is sure to inspire deep practice. 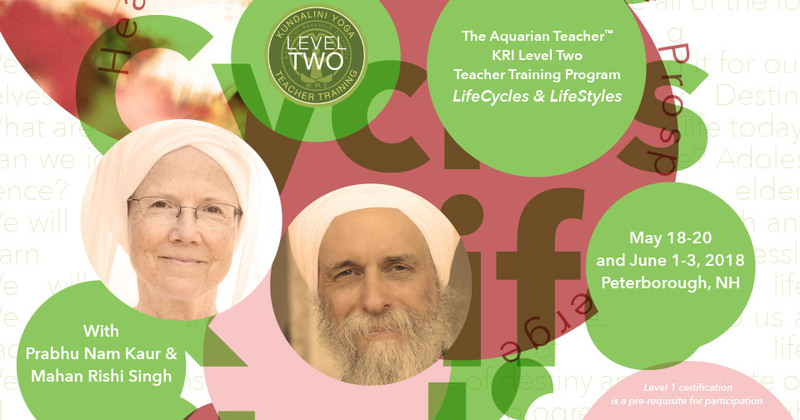 This course meets the Level Two Practitioner: Transformation requirements through Kundalini Research Institute. Soul Yoga is located at the Union Mill in Peterborough, New Hampshire. The Union Mill is a mixed-use green building next to a waterfall west of downtown. The Mill was recently restored with environmentally conscious building materials, a fossil fuel free energy efficient heating system, and a super-insulated shell. The Nature's Green Grocer, the largest full service natural food grocery store in the Monadnock Region with over 15,000 products, is located in the Union Mill next to Soul Yoga and offers hot lunches, juices and smoothies. For more information and local accommodations please email Nirankar Kaur at [email protected] or call her at 603-562-6813.